The ATI brand is about to disappear, AMD announced Monday. "The timing is right as far as we're concerned," an AMD spokesman told The Reg, explaining that the company's brand strategy is moving to a "customer-centric approach" and away from processer-centric branding. 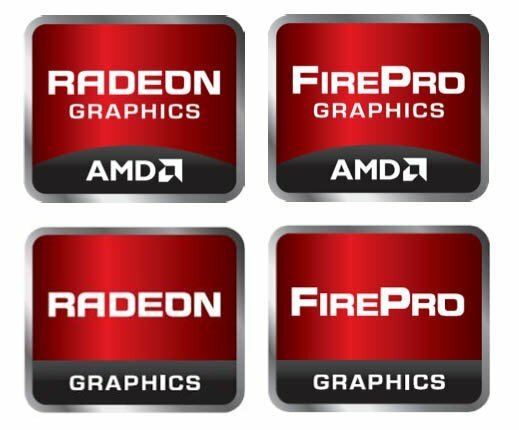 The company's Radeon and FirePro brands will remain, but they'll be transitioned to the AMD brand when the next-generation Radeon GPUs appear later this year. According to the spokesman, internally conducted research showed that the AMD brand was stronger than the ATI brand. A company release explained that the survey, which polled "several thousand 'discrete graphics aware' respondents" in the US, UK, Germany, China, Japan, Brazil, and Russia discovered that the AMD brand was stronger than ATI's when compared with other graphics competitors. In addition, preference for the AMD brand tripled when the respondent was aware of the AMD-ATI merger. It should be noted that those "discrete graphics aware" folks had plenty of time to learn about the merger, which was confirmed over four years ago — at which point, by the way, AMD said it was planning to keep the ATI brand. The move comes as AMD prepares to launch its long-gestating Fusion line of what the company calls APUs — accelerated processing units — which include CPU, GPU, and other circuitry such as video processing and other application-specific accelerators, all on the same die. Fusion ships were first discussed shortly after the AMD-ATI merger, and were originally scheduled for release in late 2008 or early 2009. The first Fusion chip, however, was demoed just this June at the Computex conference in Taiwan. AMD expects to deliver the Ontario Fusion chips based on the company's new Bobcat core in the fourth quarter of this year, and Llano parts based on a tweaked four-core Phenom II core in the first half of next year.